This memory-keeper lets the user track the moments of their life day by day. The 365 daily entries appear five times on each page, allowing users to revisit previous thoughts and memories over five years as they return to each page to record the current day's events. 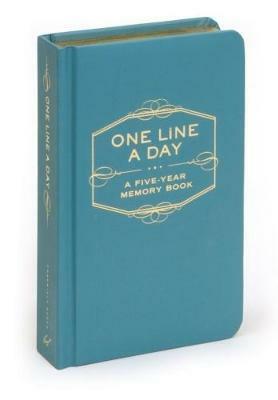 Durable and elegantly designed, this diary is sure to be a treasured addition to any desktop, bedside or bookshelf.